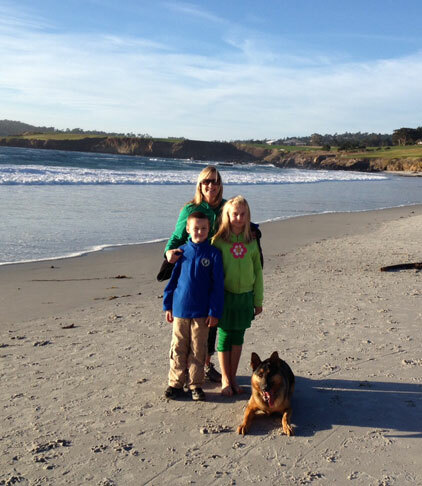 Reggie (aka Torque) had a lot of fun on his vacation to Carmel, Monterey and Pacific Grove. He is an excellent traveler! He is such a good boy! Please tell his foster family thanks again for all of the love they gave him. He has an amazing drive and focus. Also he still loves to chase the tennis ball, he will always out last anyone:). Thanks Again For Our Amazing Boy!